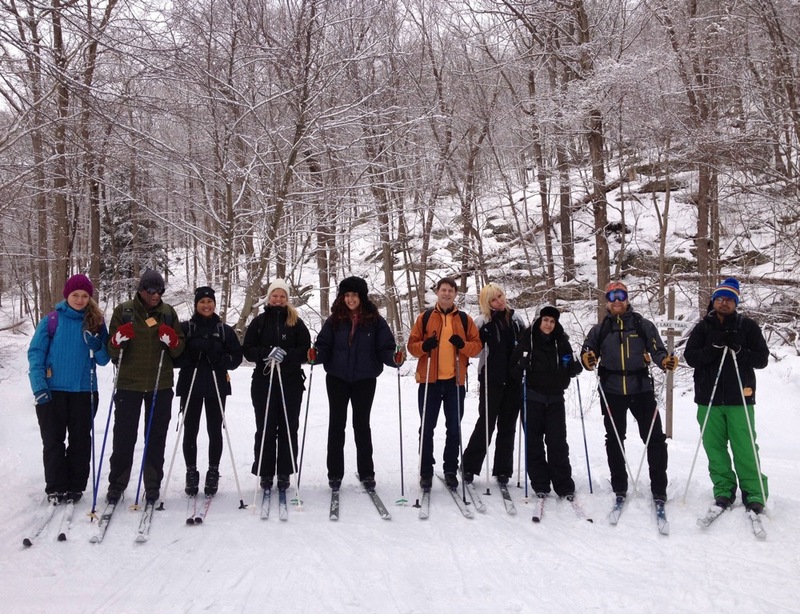 Having spent a good deal of my life on skis, I was always aware of that hole in my resume: nordic skiing. I resolved to fix it this season, with several opportunities for guiding on my winter calendar. I was looking forward to this trip, but I must admit, as an addicted downhiller, at first, I found it difficult to get excited for a nordic day when there was fresh pow in the mountains. 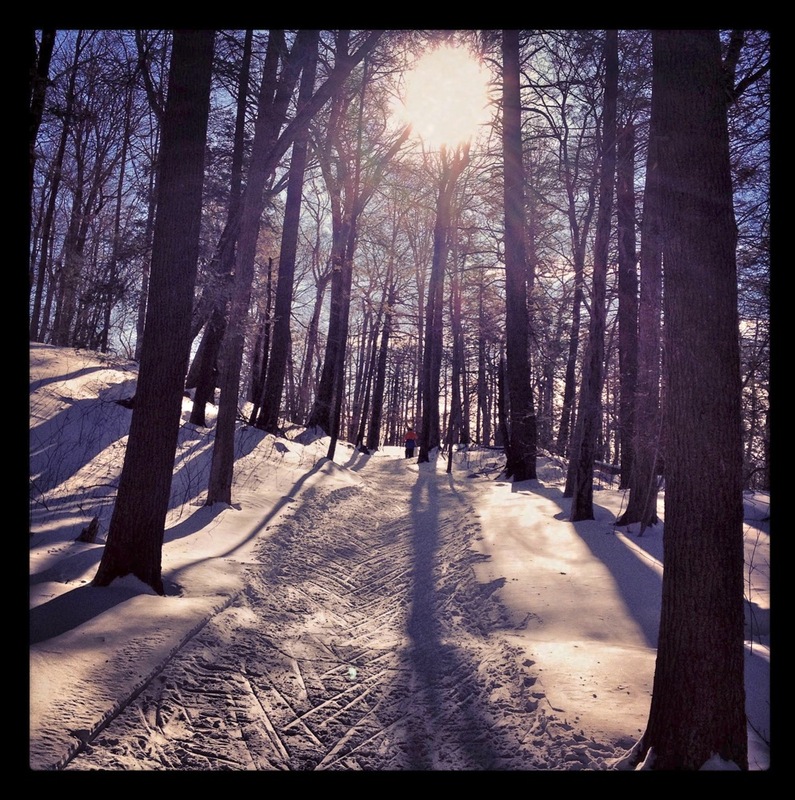 I’m familiar with Fahnestock Winter Park. I’d passed it so many times, both underneath it on Route 9, to get to the more popular Breakneck Ridge, and through it on the Taconic State Parkway. I have hiked there many times and the trails are often empty. The AT runs right through the park on its way to Connecticut, which in my mind, gives the place a little more character. But nothing could have prepared me for my recent visit. The snow from Nemo released an explosion of pent up desire within the nordic community, and the volume of snow prevented the park from opening up at all the day before. 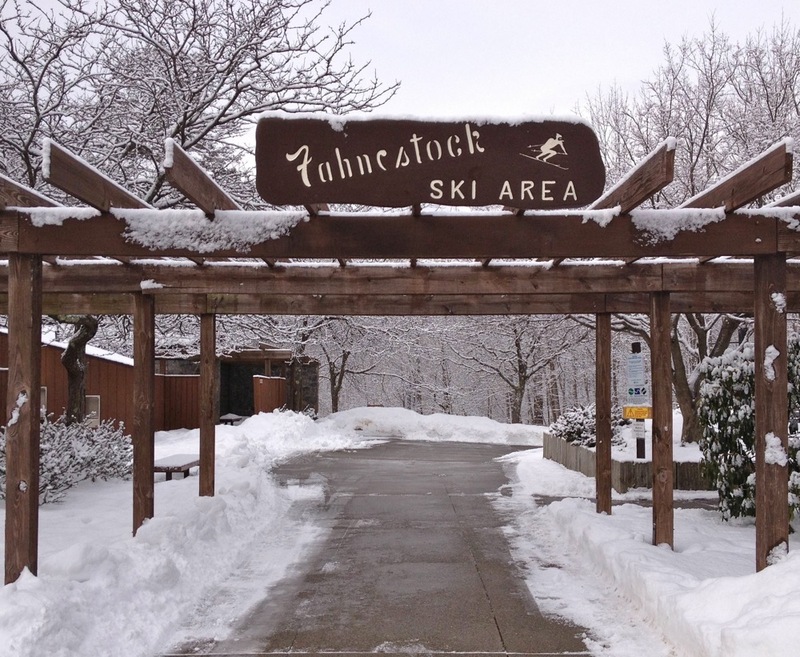 Like all classic ski areas, Fahnestock is built around a simple lodge to sit by a fire and get a hot chocolate, affordable rentals, and inexpensive trail passes. This is what I believe a state park should provide; an affordable, few frills experience for the community to experience the beauty of the outdoors and get some exercise. People were definitely taking advantage of the conditions on this day. Sixteen inches of snow blanketed frozen lakes, steep cliffs, hemlock groves, and mountain laurel lined trails. To see it all, we cruised 8 miles of groomed piste in the traditional track, alongside the modern skate trail. There was a healthy amount of Russian and Swedish Americans enjoying their traditional pastime while speaking old world languages. Athletes in lycra pants and jerseys contrasted with older folks touring the lake in woolies who’d look right at home on 8-foot hickory boards, in a black and white photo from the Alps. Seeing the democratic nature of the smiles added to the charm of the park and the day. At some point, I lost my ability to appreciate it all because by the end of the day I was famished. If I burned fewer than three thousand calories, I’d be surprised, because I think I ate a whole roast chicken that night. The best thing about the memorial park is that it is so close to so many in New York City. 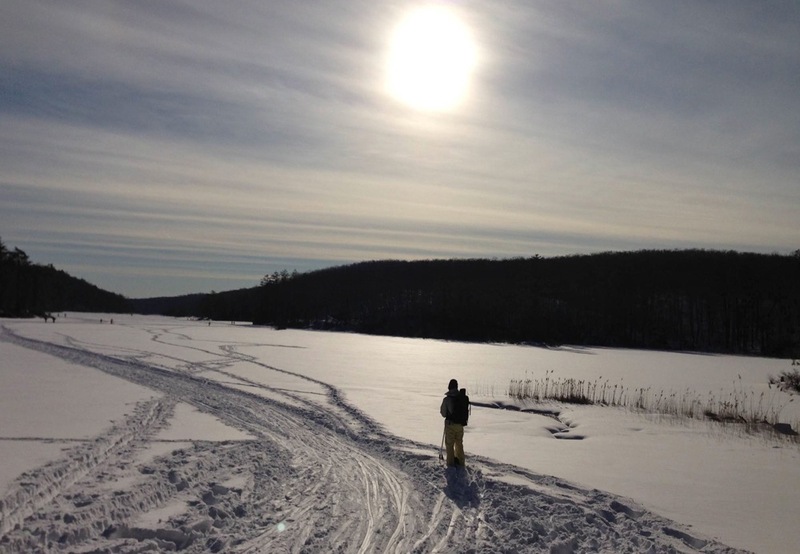 An hour’s drive time and a world away, Fahnestock Winter Park is not exactly a secret. But after the recent big day, I’m hopeful that many more people will come to appreciate it for seasons to come. Did you ski any of the old downhill trails? Fahnestock has some fun trails and it’s a great resource. For those who are interested, one can subscribe to http://sports.groups.yahoo.com/group/fwp-conditions/ for accurate conditions reports. Hehehe, I too recently got myself onto the skinny skis. I typically cycle one weekend UpNort in the UP, downhilling and then the intervening weekend I am home due to my wife’s work schedule. This year conditions were finally there for me to do about the same as you, head to a local park, rent some skinny skis, pay a modest trail fee and be out doors and ski the white fantastic! Nice blog (that Doug Lewis vid is great), looks like a cool place and very cheap, too. One thing I liked about Fahnestock was the layout in general, but especially for beginners. I did a practice lap or two and could hit the rental shop to get different skis/poles and adjust layers easily before setting out comfortably to see the faraway lakes. If we score more snow I’m definitely heading back…. Fahnestock used to have downhill ski area too, i grew up skiing there as a kid. great memories of that place. the old t bar and rope tow are still there in the woods. the park is great in summer too, nice lakes for swimming, fishing, rowboat rentals, camping, hiking, and real close to NYC.